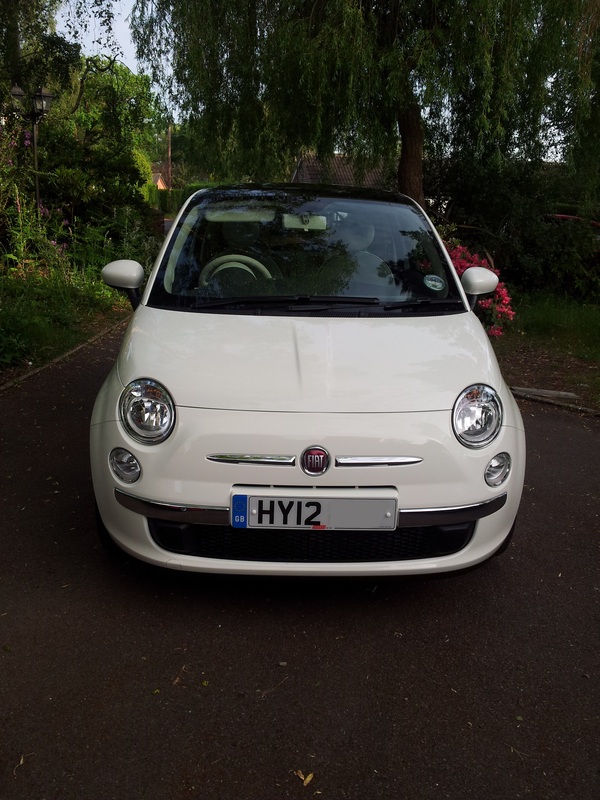 Finally got round to posting some photos of my lovely Luigi! These were from I first brought him home sorry about the lack of photos. 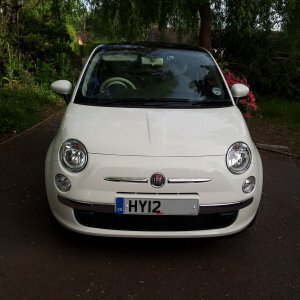 Hes a month old but I feel like he could use some jazzing up to make him abit more different, I have the chrome mirror covers to put on, once I work out how. But cant think what else to put on him. I wouldn't be a fan of chrome mirrors and prefer the body coloured ones. Example here on the first picture. Interior wise there are gaiters with the italian colours and these are not too difficult to fit. 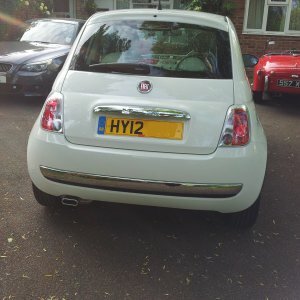 I'm afraid that if you want your car to be different/unique/stand out from the crowd and you bought a white Fiat 500, then you bought the wrong car. Personally I would just revel in the cameraderie of kindred spirits, all driving our white 500s. Heck, some will even wave at you as you pass them, witbh a little encouragement. You can then rest secure in the knowledge of your inherent good taste. I would definitely go for a pair of front Italian flag badges, they're nicely made enamelled metal badges. Have you got side rubbing strips fitted? You can put a variety of different badges on the rear ends of the rubbing strips, including Italian flag 500 script badges. I might think about a (very) few chrome bits here and there too. Whatever, I hope you really enjoy you're lovely little car, as much as we enjoy ours. On the drive!! : 500C 1.2 lounge, Pasadoble, black roof, red leather/ivory, beautiful! I am thinking of getting the t bar it looks quite smart, also the flag badges the more I see them the more I think they look pretty neat! And yes that is a Triumph TR3! Its a lovely car for country roads & a BMW 530 D Msport! But alas they are my parents cars not mine! 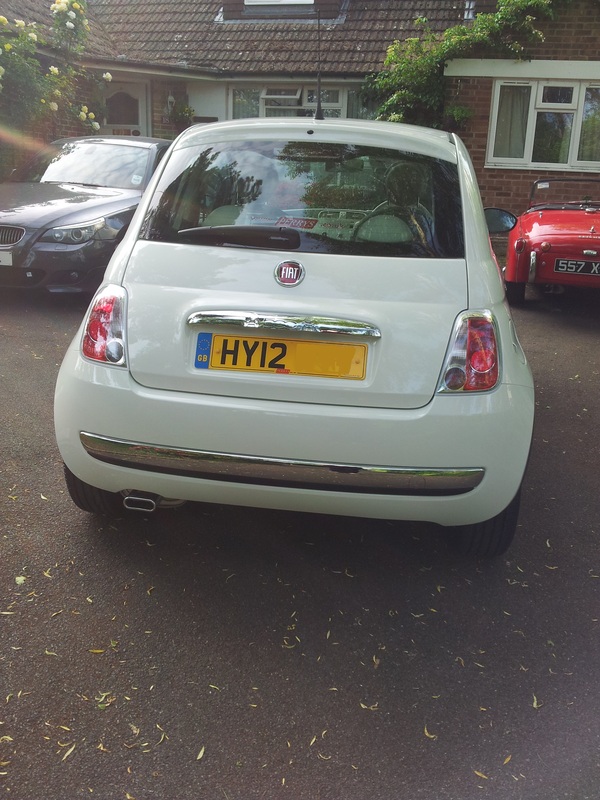 Here is an example with the A-bar, Italian flags, chrome mirror backs and the chrome bonnet line and a picture of the one that I had. Italian flags are a must ! Your best mod will be to get your hair drier out, warm up that nasty dealer sticker, and peel the free advert off. oooo it looks lovely with all the chrome! I think I will get the extra bars! they look really smart! Yeah my dad restores TRs its his hobby, I'm waiting for the day he makes me one haha! It might look a little different on the BNW. The colour that in those examples are Pearlescent white (FW). Hey i love the car, glad your enjoying it. Don't think you need to change it much, just keep it clean and looking nice! I'll look out for you around the area.